SOHO Diversified Group opens its tenth Bonchon outlet at Sovanna Shopping Center. Ground floor, Unit S1-02/06/08. #307-309, Street 271, Sangkat Tumnob Teuk, Khan Chamkar Morn, Phnom Penh. Sovanna Shopping Center is one of the first modern architecture in the city and is known for having jewelry stores, watch shops, and retail outlets. 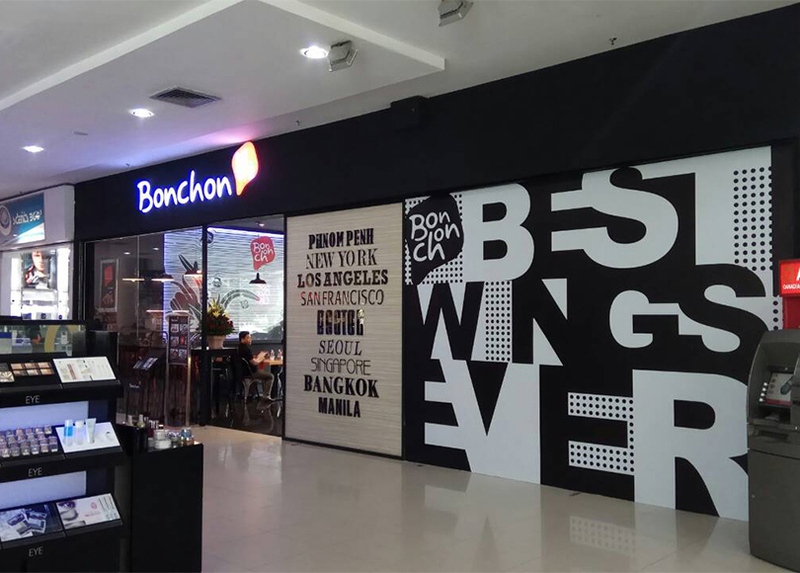 This new Bonchon restaurant is an ideal place for family day out treat and Bonchon lovers residing at Phnom Penh’s south west location.